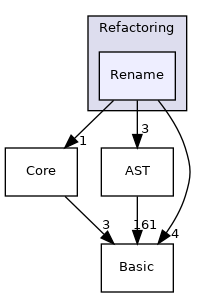 Provides an action to rename every symbol at a point. Methods for determining the USR of a symbol at a location in source code. Provides an action to find all relevant USRs at a point. Provides functionality for finding all instances of a USR in a given AST.